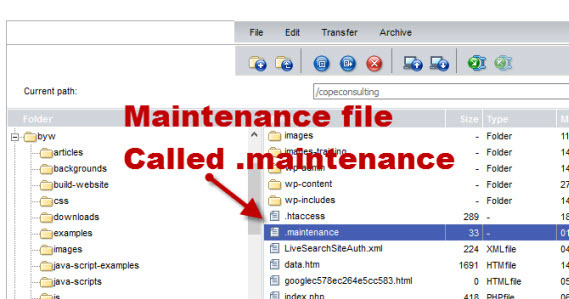 When upgrading WordPress and plugins, WordPress places the site in maintenance mode. This you will notice if you visit the site you should be greeted with a screen like the one shown below. It does this by placing a file call .maintenance in the root folder. Sometimes you encounter the situation were WordPress gets stuck in this mode usually because of some error while updating. When this happens then the .maintenance file doesn’t get deleted and the site stays in maintenance mode. The solution is simply to delete this file. To do this most webmasters will use ftp, but an easier solution for normal website owners is to use the file uploading tools provided by the control panel of their web host. 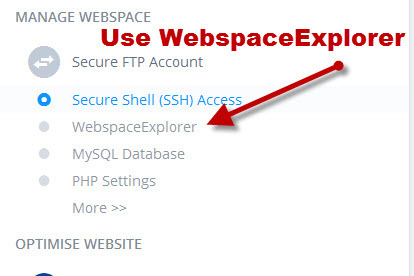 On 1and1 login to the control panel and locate WebspaceExplorer Located under the Manage Webspace section. Navigate to the root of your website. If you have more than one site installed on the host it will be under a sub folder. You can recognize it as the root of a WordPress installation by the presence of the directories wp-admin, wp-content, wp-includes. You should see the .maintenance file. click it to highlight it, then use the red delete button to delete it. Login to the Cpanel and locate the file manager under the Files Section. 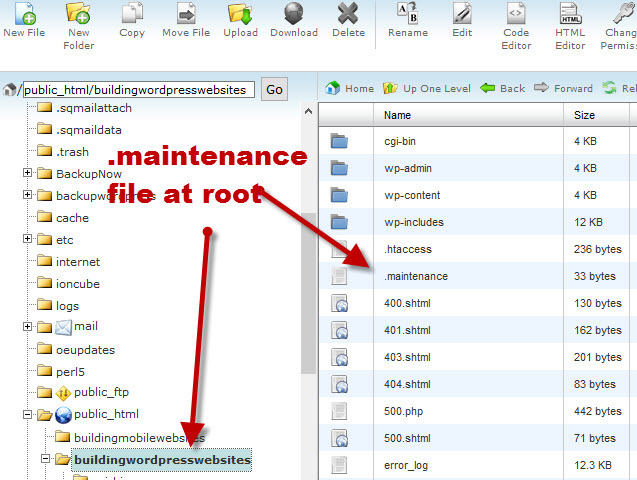 The file manager opens and you need to navigate to the root of the WordPress install. If you have more than one site installed on the host it will be under a sub folder. 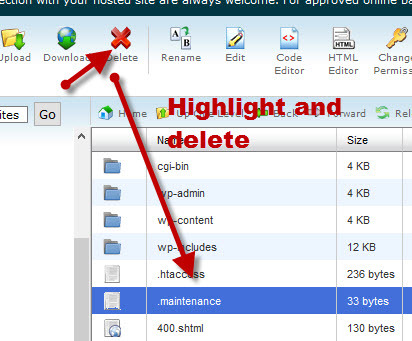 Now click the file to highlight it an use the delete button to delete it. 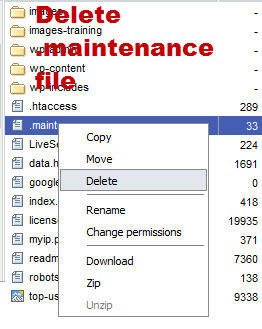 Because the .maintenace file is an hidden file it may not be shown. If this is the case you will need to go back to the cpanel home page and use the reset all interface settings link at the bottom. If you then open the file manager again you should see the file.